The occurrence of various plumbing issues can make life unbearable for the residents of a home. You would not want to spend your holiday weekend coping with cold water while waiting for your inconsistent plumber to become available to fix your water heater. Unless the plumbing issue is immediately fixed, living in your home will remain uncomfortable. In case you are looking for a reliable, and expert Central Florida Plumbing company to handle all your plumbing services, be it commercial or residential, A-1 Plumbing Service is the perfect fit to get the job done. We are a dependable Central Florida Plumber that has been providing 24-hour plumbing services and emergency plumbing services to the people of Central Florida and nearby cities. We are always available to ensure proper functioning of your plumbing systems. Since 1954, we have provided emergency plumbing services throughout Central Florida, improving in skill and professionalism every year of business. The wide range of service and repairs, matched with expert knowledge and superior skill makes choosing us as your emergency plumber in Central Florida the right decision. A-1 Service Plumbing is Central Florida’s most dependable emergency plumber Orlando. We offer lots of plumbing services ranging from re-piping to water heater service to drain cleaning to unclogging and so forth. We fix all manner of untimely leaks, clogs, blocks, and bursts, specializing in conveniently available service around the clock. As a first class Orlando Plumber, we always aim at offering a high level of comfort to everyone in your home. We are experts in electric sewer cleaning, sewer jetting, camera lines, lavatory sinks, and so forth. We are always ready to help you repair your plumbing system, including your septic tank, pipes, bathtubs, drainage, and lots more. We work at making everything return back to the way it should be. Regardless of when the plumbing issues occur in your home or office, all you need to do is give us a call. We will send our team of technical experts over to get it fixed. We are available 24 hours a day and 7 days a week to attend to your needs. Your plumbing issue can occur when you least expect. Unexpected plumbing fiascos like this can make your home uncomfortable. In a business setting, emergency plumbing issues can be detrimental. 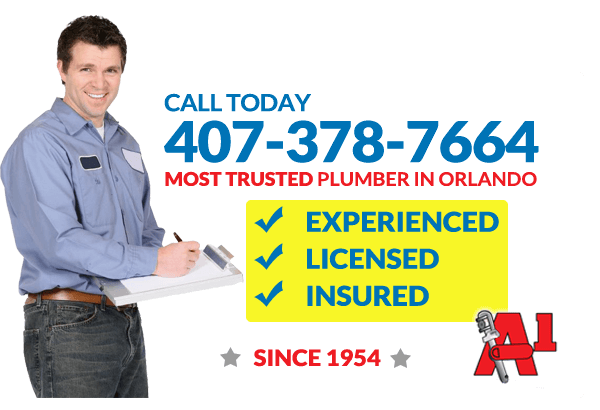 If you are in need of Emergency Plumber Orlando that will get to your location on time and fix the issue, A-1 Plumbing Service is the perfect fit to get the job done. No problem is too large or small for the most talented 24-hour plumbers in Central Florida. We are always on ground to provide a fast and effective solution to your emergency plumbing issues. Within a short period, your plumbing system will be back to its ideal working condition. For major plumbing projects, it is important to hire the services of a tested and trusted plumber in Central Florida. This will guarantee quality and value. This is exactly what you can expect when you choose A-1 Plumbing Service as your Orlando Plumber. 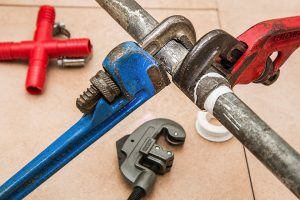 Whether you are repiping the old piping system in property, or you are just looking to repair some plumbing issues, A1 Service Plumbing can assist you in every step of the process. We will begin with a detailed written analysis of your current piping system and a complete estimate to help you best understand the cost. At A-1 Plumbing Service, we understand that a prompt response is the first part or providing pivotal customer service. Our ready availability combined with well-qualified workmanship is what makes A1 Service Plumbing the leading 24-hour plumber in Central Florida. We are always ready to offer high-quality Central Florida plumbing service that will definitely surpass your expectations. In everything from top brand installations, routine maintenance, and imperative repairs, A1 Plumbing Service is the only Central Florida 24 hour plumber that backs every manufacturer’s warranty with our very own 10-year labor warranty. We care a lot about our clients and are always ready to provide an appropriate solution to their issue. Contact us today to speak to any of Central Florida Plumber!